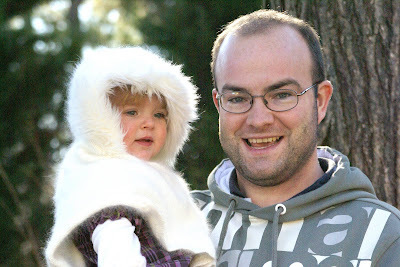 She looks like she's having so much fun with Uncle Trevor! Clearly, I love the poncho. Libby seems to be really interested in whatever Uncle Trevor is showing her - or is she thinking "these are my toys, can't you just leave me to play with them". 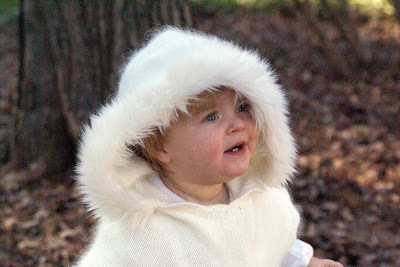 I think she looks really cosy in the poncho - might have to get one as we are having a really cold spell at the moment. 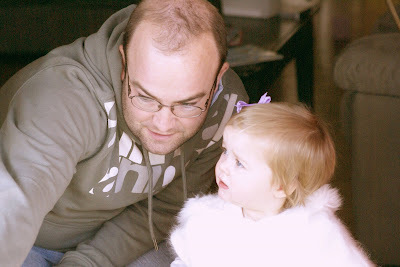 She looks angelic in the closeup of her and uncle trev! Ooooh under the right light I could totally see her looking like a little angel baby!